Taste profile from the winemaker: "This sparkling wine is produced in full respect of ancient traditions, using Prosecco grapes grown on the Veneto hills. It is characterised by a fine, light perlage and a fresh and aromatic perfume. It is perfect both as an aperitif and as an accompaniment to light dishes." ABC Wines review: Very lightly sparkling, this wine has a floral, mixed fruit aroma. The palate is quite fruity with a nicely balanced acidity. The finish has considerable mineral character but is pleasing nonetheless. Our score: A fun wine that can be served as an aperitif or with a crisp summer salad. Above Average. A wonderful sparkler, the best Proseco for the $$'s that I've had. At about $10 (U.S.), it's hard to beat. Do yourself a favor and try it; you'll thank me! Think I'll buy a case for summer sipping on the deck. Stop by if you're in the neighborhood! Just found this gem thanks to teller wines in Lewes DE. AWESOME! Got turned on to this at the recommendation of the clerk at Grogg Shop - Lewes DE. Great Summer Wine! How do I open the bottle??? hasn't popped off like a champagne- afraid to use a corkscrew. HELP!!! LOL, I had no idea how to open it either. It wouldn't "thumb" off like a champagne cork. I wound up resorting to a corkscrew. No matter how you wind up getting to it, it is WELL worth the bottle. Gift from one of my clients, I hope I can find this on my own. This is ridiculous. The maker should put instructions on how to open this. Someone's going to get hurt and it better not be me! I'd hope it's worth the trouble. Its funny you guys are having a problem opening this bottle. I have been enjoying this for a few years. Purchased it at the Military Class Six. Well this evening we had a bottle that opened itself. All that good wine spilling on the floor from our wine rack. I have used a corkscrew on the bottle. I guess we better drink up before anymore caps release. Excellent wine. This fine prosecco now comes with a screw cap! 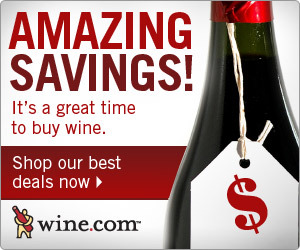 See our latest review here: http://www.abcwinereviews.com/2011/06/cantine-riondo-prosecco-spago-nero-nv.html. I am actually a red wine, merlot drinker but this is very nice.